I am looking at 3 sets of rules, 2 at the battalion level (where each stand represents a platoon) and 1 at the company level (where each stand represents a section). This was all originally very confusing as the terms section and platoon were unknown to me from Napoleonic wargaming. Have it sorted now, I think. 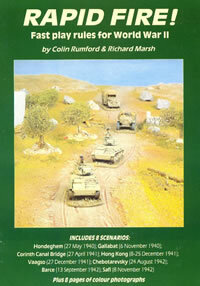 I especially would like to thank Curt at Analogue Hobbies for all his advice, he is a font of all things wargaming. 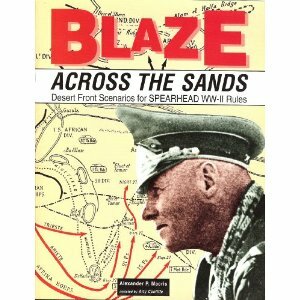 The two battalion levels sets are Spearhead and Blitzkrieg Commander, while the company level level set is Flames of War. I know very little about each set, but suspect that the I will be less interested in the FoW rules as I am not that really interested in skirmish level actions, but more in recreating historical scenarios at the division level. But who knows what direction I will go. The neat thing about these 3 rulesets is that the basing in essentially uniform and will work for all three rulesets. 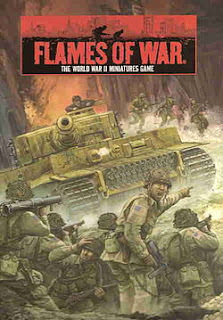 I am using the Flames of War basing conventions as found in the 1st edition Afrika source book. 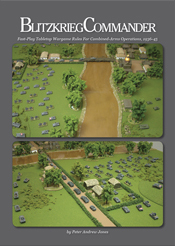 I am also looking at the Rapid Fire ruleset, which uses a different basing convention, but I have not had a chance for a good study yet as the rulebook, although ordered at least 1 month ago, still appears to be in transit from the UK. They do come well recommended, and from what I understand I can play the rules using FoW basing. I am using the Spearhead Tables of Organization and Equipment to build the actual units. This is really quite an excellent resource, and the actual units and equipment for the 15th Panzer Division OB to the left will be based on the 1941-42 TOE from this book. 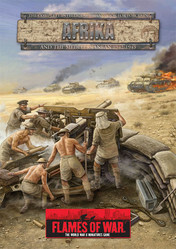 I also got the Spearhead scenario book for North Africa, this is an absolutely exciting find as it contains 21 scenarios based on historical actions from 1941 to 1943, but more important is the terrain design for each scenario. All 21 scenarios are based on 12x30" geomorphic terrain tiles. Each scenario is based on 4 or 6 of these tiles, and this really works well for me as my table is 12x5', so it will easily accommodate a 5 x 5' or 5 x 7.5' actions. I am especially excited about doing these tiles, but all in good time. As you can see from the left OB, I have decided to start building units for 15 Panzer Division for my DAK force. I am still up in the air about what 8th Army force to do, I was thinking about doing the Desert Rats (7th Armoured Brigade), but I am tempted by some of the Commonwealth units as well. Unfortunately no Canadian units served in North Africa, but the 166th Newfoundland Field Regiment of the Royal Artillery served in Tunisia. My uncle, Pat Michael, was in this regiment and I remember his many stories about his time in Tunisia and Italy. I am sure the 166th will find somewhere in my OB for the allied forces. Another bit of exciting news is that Iannick at Clash of Empires, my occasional gaming partner in Montreal, by some strange coincidence has also decided to take on WWII 15mm gaming! This will work out well, as my son Simon is starting at Concordia University in Montreal this fall, and I plan to spend quite a bit of time there (my long term plan is to move to Montreal, I just have to convince the one who wears orange trousers). I do have a quite a few figures and vehicles already painted, so stay tuned for some photos. And finally, I need a new name for my blog, it has to incorporate the words "Wargaming in 28mm", I was thinking of "wargaming in 28mm and sometimes smaller", but I will take any suggestions. Maybe I can start another poll. I believe that there are no rules on basing for Rapid Fire! - I know of several people who base singly on pennies, and others who use multibases. You might try Field of Battle WWII. Each stand is a company and battles tend to be reinforced regiments to divisions in scale. In the name of full disclosure, I was one of Brent Oman's playtestors. Piquet Field of Battle is not for everyone because it uses cards to scramble the sequence of play. I play a lot of Field of Battle for the horse and musket period. Also, you should consider using the page break function when posting to your blog. It allows more posts to show on the page and, for those who do not want to read the entire post (sorry, who would not want to read everything we write?) they can just go on the next post easily or click "read more" to read the entire post. See my blog for an example. I use the page break except in very short posts.